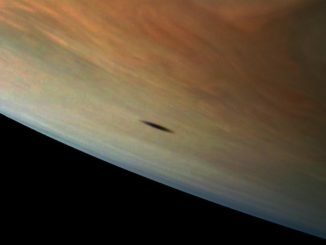 Jupiter’s moon Amalthea casts a shadow on the gas giant planet in this image captured by NASA’s Juno spacecraft. The elongated shape of the shadow is a result of both the location of the moon with relation to Jupiter in this image as well as the irregular shape of the moon itself. 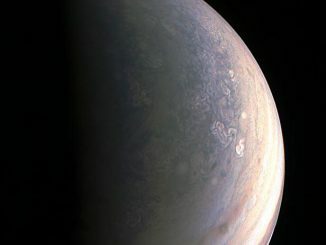 Juno has beamed back amazing images of Jupiter’s poles taken during its recent close approach. It’s the first time we’ve seen one of the gas giant’s poles in detail since Pioneer 11 flew by in 1974. 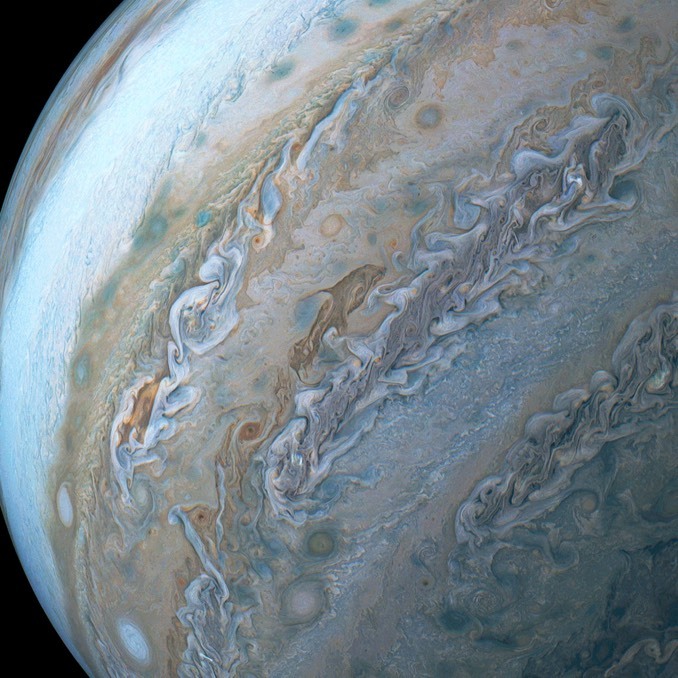 Citizen scientists process a stunning image of a giant storm in Jupiter’s northern hemisphere taken by NASA’s Juno spacecraft during its 11th close flyby of the giant planet. Bright cloud tops look similar to storm clouds on Earth, although the scale is vastly larger. 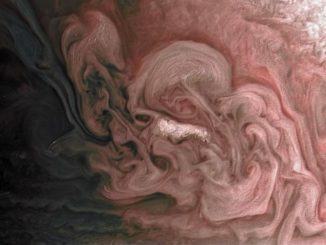 Juno is giving planetary scientists a unique view of Jupiter from the spacecraft’s polar orbit.